Clear color. Confected aromas and flavors of orange gelatin candy, citrus soda, and hint of apricot jelly with a syrupy, bright, sweet medium body and a tingling, cheery finish with suggestions of orange sherbet, simple syrup, and pepper finish. A solid orange liqueur for mixing. 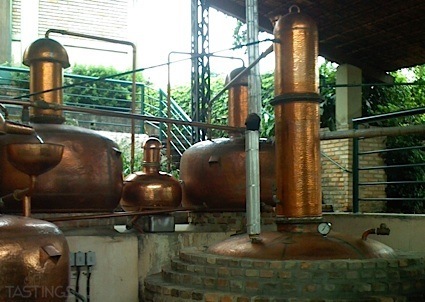 Bottom Line: A solid orange liqueur for mixing. 88 • Benchmark Old No. 8 Straight Bourbon Whiskey 40% (USA) $11.99. 92 • Buffalo Trace Kentucky Straight Bourbon Whiskey 45% (USA) $24.99. 86 • Cane Run Rum 40% (Trinidad) $12.99. 88 • Caravella Limoncello 28% (Italy) $17.99. 88 • Chila ’Orchata Cinnamon Cream Rum Liqueur 13.75% (USA) $14.99. 87 • di Amore Amaretto 21% (USA) $12.99. 88 • di Amore Sambuca Liqueur 42% (Italy) $13.99. 87 • di Amore Raspberry Liqueur 16.5% (USA) $12.99. 85 • di Amore Limoncello 28% (Italy) $13.99. 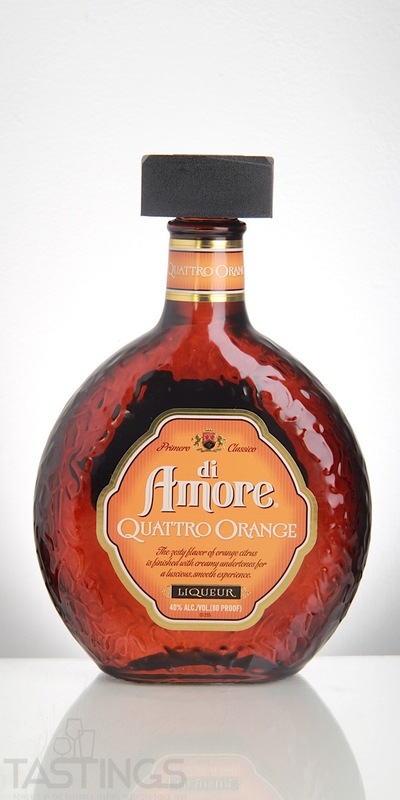 87 • di Amore Quattro Orange Liqueur 40% (USA) $14.99. 89 • Evangeline’s Pralines & Cream Liqueur 15% (USA) $16.99. 88 • KAPALI Coffee Liqueur 20% (Mexico) $12.99. 88 • Peychaud’s Aperitivo 11% (Italy) $18.99. 87 • RICH & RARE Canadian Whisky 40% (Canada) $11.99. 84 • RICH & RARE Reserve Canadian Whisky 40% (Canada) $9.99. 90 • RYAN’S Irish Style Cream Liqueur 17% (USA) $8.99. 92 • Sazerac Kentucky Straight Rye Whiskey 45% (USA) $29.99. 86 • Zackariah Harris Kentucky Straight Bourbon Whiskey 40% (USA) $11.99. di Amore Quattro Orange Liqueur rating was calculated by tastings.com to be 87 points out of 100 on 4/19/2018. Please note that MSRP may have changed since the date of our review.